When the year nears its' end, it's a dark as it can be. In last month’s transit through Scorpio, the dimming light forced many of us to hold onto the valuable resources, so that we could sustain and continue our creative efforts. Now, with the switch to positive fire, the mutable force of the Sagittarius Sun appears—to free the Scorpio Eagle from her worldly bindings—so that she can fly to greater heights! At the end of the Fall season, the wheel of the year is making its final descend into darkness. Fortunately, those of us who have learned our lessons know that this is a repetitive dance of cycling lights—and soon, the lights will begin to build again! Even in these darkest of times, there is nothing to fear, for there is plenty of light to see the path that lies ahead. With the mutable force of fire, individuals will seek new fields of opportunity and make the final spiritual choices and resolutions —that will guide them forward in the New Year ahead! When these Archers gallop across the land, their fire-tipped arrows are aimed at distant targets. The bow (i.e., strength or force of the soul) is fully drawn, ready to release its creative sparks—to all four corners of the Earth, and beyond! In the last month in the wheel of the year, the Archer’s arrows provide the light—to reveal a higher level of understanding (or a widened scope in perception)—that will allow all to see: A Universe of Greater Possibilities! At the very least, it creates a remarkably positive change in one’s attitude. So gallop away with your Centaur friends and give thanks for your blessings, particularly on Thanksgiving day. Remember that it is a chilly world, but you can still find warmth, joy and laughter with others— as you celebrate the beginning of a “soon to come” new cycle of growing light. With all of these big ideas, we can see why Jupiter, the largest planet in our solar system, is the ruling planet of Sagittarius. The arenas of human activity associated with this sign include the “higher learning work” of professors, counselors and spiritual leaders. This mutable fire also rules comedy and comedians. It is the joy of laughter and humor that will release us from the tensions in our lives. Sagittarius rules the thighs, the part of the body that allows all creatures the mobility to move and travel long distances across the Earth. With this rulership, the upper legs lead the way, as the hips lag to the back. 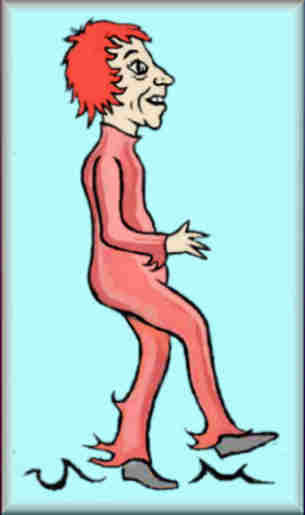 One step sends the Centaur in one direction; The next directs him in another. Like with the hands of Gemini (the horse’s opposite sign), these dueling extremities make the mutable forces obvious. These scattered sparks of expansive fire are apparent when our friends with a Sagittarius Sun bounce into the room. As they skip by, you may see see a glance of the Centaur’s high domed forehead, the distinctly skewed equine eyes, the wide bridged nose with its bulbous tip, the large front teeth and the long and skewed jaw of the horse. These qualities appear in the celebrities pictured herewith. Lucy Liu‘s fiery Sagittarius Sun is grounded by her Venus ruled Taurus Moon. Watch what happens when she gets emotional with Sherlock in her TV series Elementary. She seems lost for words and momentarily stilled. This ease is also seen when she goes into action. Her Mars is in Libra. Christina Aquillera is best known for her role as a coach on The Voice. Like Lucy, Christina has a Taurus Moon gives her an emotionally stable sense of value, as well as an ability to determine the talent (or worth) of others in her own field of expertise. It also gives her a remarkable singing voice. Surprisingly, Christina’s image appears far more radical than that of Lucy’s, at least in the dazzling dress and attire she presents to the public. The outrageous persona can be contributed to her Aquarius Ascendant. Jeff Bridges, with his Gemini Moon and Virgo Rising, has a trilogy of mutable signs in his chart. Needless to say, he has the flexibility to adapt to changes, and it shows in his work and his attitude. Just think of the gamut of roles that Bridges has played. There’s the rebellious comedy of Rancho Deluxe, the futuristic excursions of Tron and Starman, the terse psychological tension of Jagged Edge and the metaphysical philosophy of Fisher King. 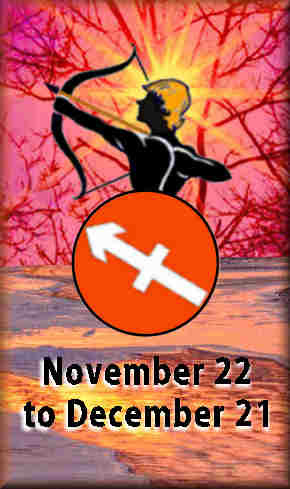 Such diversity and scope of material is what we can expect from a unrestrained Sagittarius Sun. Howie Mandel is the ball-of-fire judge on the popular America’s Got Talent TV show. He is a Full Moon baby, so when he gets emotional, expect a full blown surge of emotions. Being his Moon is in Gemini, these outbursts are often expressed in a barrage of words. All of his chart components (except Venus) aspect his Moon in the sixth house of health. It’s no wonder he’s such a cleanliness freak! Fortunately, a Capricorn Ascendant gives these mutable energies a sense of direction and some grounding. 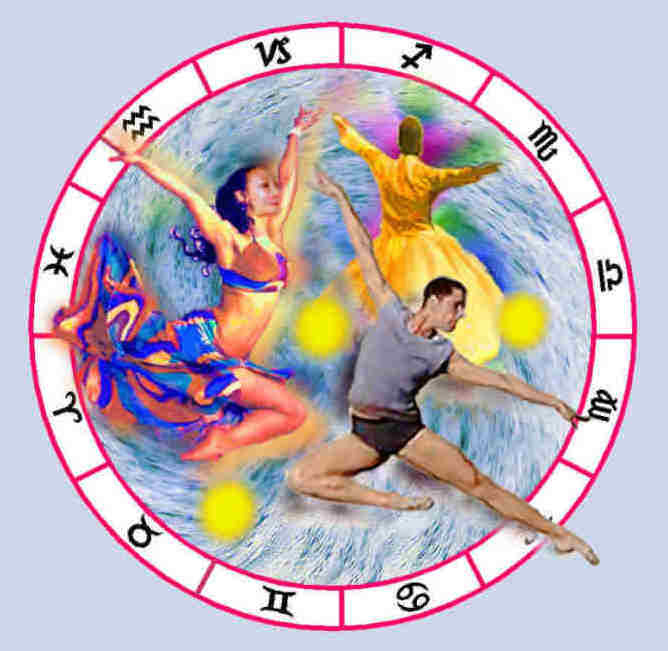 On the other side of the zodiac wheel, students were learning the lessons of Gemini. In the light of the Sagittarius Sun, they have gathered the knowledge to become the professors and teachers of higher education. When the Sun enters Capricorn, we can take the wisdom learned here in Sagittarius, so that we can use the given resources of this Earth in a wise and productive manner. With this, our New Year’s resolutions can be achieved.